No matter what the job is - whether road works, a construction site or a mine - protecting workers and the people who use the streets on a daily basis is paramount. 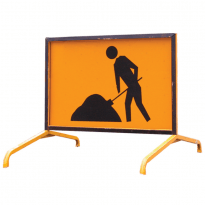 If you want to ensure site safety, having reliable traffic management equipment on hand is key. This means having the right lighting, safety gear, traffic signs and all manner of other equipment to keep cars off the road, warn drivers and cordon off dangerous areas. Thankfully, Kennards Hire can put this gear into your hands. Whether day or night, you want to make sure your road works site is an accident-free zone. You don't want pedestrians falling into a hole in the street, cars crashing at your site or anything else potentially causing harm or injury to unwitting passers-by. At Kennards Hire, we've got all the equipment you'll ever need to keep your road works safe. Need to close a road or divert traffic? You can hire bollards and traffic cones to separate traffic from pedestrians or change vehicles' paths. Need to do some added traffic control? We've got road signs for every occasion, from temporary speed limits, to no more right turns, to detours. When you need that extra bit of punch to get your message across, the bright flashing lights of our portable arrow boards and solar variable messaging signs (VMS) are sure to get even the most incurious driver's attention. Whether that message is delivered in classic orange or in four different colours, that's up to you. 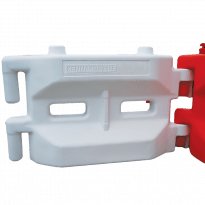 Finally, our range of barricades and traffic barriers - some made from plastic, some made from concrete - will help you clearly delineate which areas are out of bounds. You don't have to just use them on the site, either. These can be used anywhere you want to divert the path of pedestrians, be it sporting events, shopping centres or warehouses. If you have the need for an extra traffic management POD on a project and don't have the equipment, Kennards Hire has ready-to-go utes fitted with all the necessary equipment to manage road closures and detours. This way, no matter what happens, Kennards Hire has got you covered. Things are changing on the site all the time, and you have to be able to adjust traffic flow to the prevailing conditions. With our trailer-mounted, portable traffic lights, which are charged through solar energy, you can quickly and easily manage traffic in a tight spot. Need to light up that dim mining or construction site? Perhaps you're working in a tunnel and can't see what you're doing? A set of balloon light towers is an easy fix, along with our 4,000 watt, telescopic and towable light towers, which will help you see clearer than in daylight. 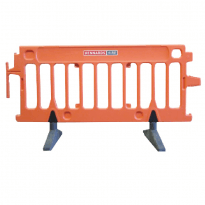 Finally, for that extra bit of safety when all else fails, you'll want to try our attenuators and road plates. Our 15-tonne attenuator provides the most secure protection for up to 100km/h for work crews and motorists when doing slow moving work - line marking, surveying or even for stationary work zones. If a crash happens, you can be sure the results won't be messy, thanks to the collapsing support frame which will absorb the energy of the vehicle and bring it safely to a stop. If it's an open manhole, pot hole or trench you want to cover up, or need to protect your sealed surface after digging a trench, then our line-up of road plates are the solution. They'll keep motorists, cyclists and other pedestrians safe and sound while you get on with work. There you have it. When you think road safety, think Kennards Hire!